Save over £130 on this high-spec, low-weight travel gem. Take a look at this fantastic Black Friday camera deal from over on Amazon. 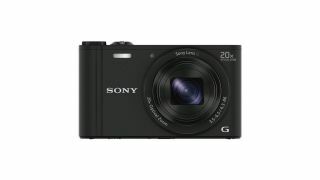 If your looking for great all-round, feature-laden, high-zoom travel compact, then the Sony DSC-WX500 is for you and you can get it today for only £199/$255 down from £330/$423. The Sony DSC-WX500 provides a sensational 30x optical zooms lens, featuring the advanced optical technology of expert lens manufacturer Carl Zeiss. Unlike digital zoom, which degrades image quality, this zoom range allows crystal clear pictures of far off-subjects, time after time. It makes use of a high resolution 18.2MP sensor, in combination with Sony's own BIONZ X image processor, for ultra low noise images, even in exceptionally low light conditions. You'll also find a 180 degree tiltable LCD screen for capturing difficult angles with ease (and shooting the occasional selfie) plus Wifi and NFC functionality is included, allowing effortless connectivity with mobile devices. Don't be left out of this unmissable discount and snap up your deal on a Sony travel essential!